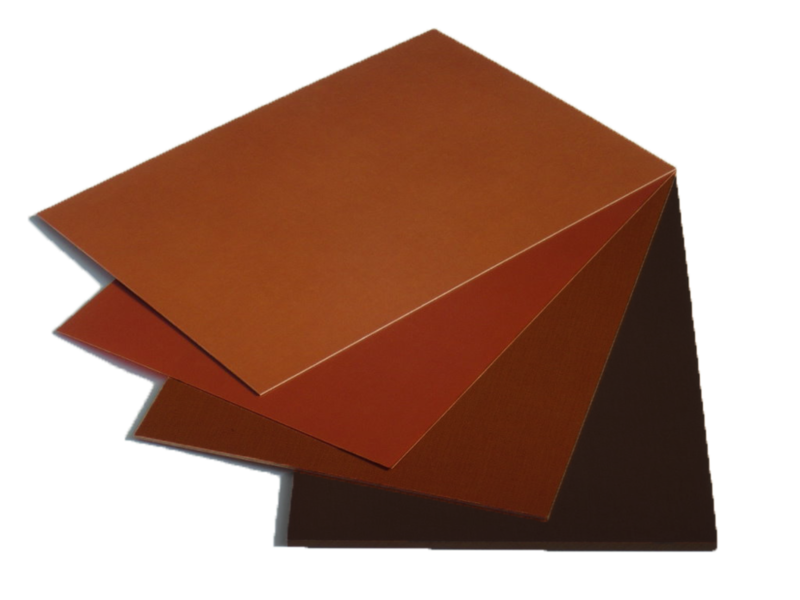 Fabric Bakelite is a phenolic rigid laminate reinforced by a woven cloth, for use in mechanical and structural applications. It offers excellent mechanical and wear resistance. It is suitable for gears and similar applications requiring high impact strength. There are several types of fabric Bakelite. Insulect stocking F2 and F3. F2 is tougher than F3, however does not allow for as close tolerances when machining. 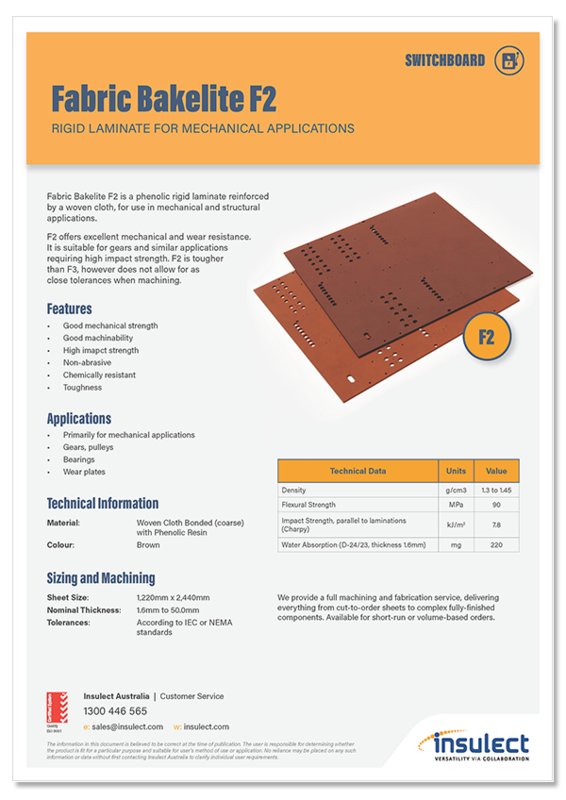 Insulect has specification sheets for the F2 and F3 Bakelite product. The tables show the most commonly requested products in the range. Should you require something outside of these parameters, please contact our customer service team.